We are one of the leading flatbed trucking company in New York providing total trucking solutions. 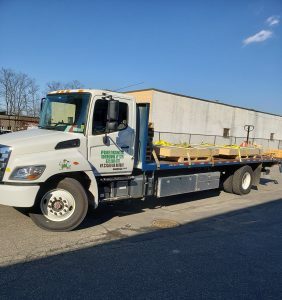 We provide affordable flatbed trucking services to all the counties in Suffolk, Nassau, Bronx, Brooklyn and Queen Counties to move their loads safely. We have experienced drivers and fleet of flatbeds to provide you quality services at very affordable and competitive rates. We always strive to provide you dedicated 24X7 customer services. McGuire Trucking Service Freeport NY offers its customers superior service and great rates, whether the delivery and pick-up is residential or commercial. 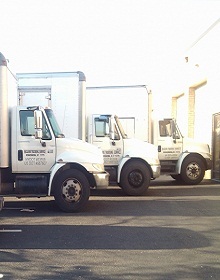 It includes the use of air cargo, truckload, LTL, dry van, or flatbed trucking methods. It doesn’t matter if your company specializes in one product or thousands of different products, McGuire Trucking Service has the means to transport your cargo, even if you have special requirements in Freeport NY, Nassau County, New York, US, on the South Shore of Long Island. Air-ride Flatbeds Freeport NY can also make loading and un-loading much easier by using the dump valve Raising or lowering the truck, especially where there is no conventional loading bay available. 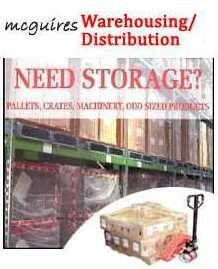 McGuire Trucking Service in Freeport NY can help with a shipment, from 100 pounds to 16,000 lbs, our fantastic customer service team will make your entire logistics experience as smooth and hassle-free as possible. Our specialized trained staff at Mcguire air ride flatbed service always makes sure that your load is protected with tarps, steel chains, nylon straps etc. to ship it safely so that it is ready which has come with experience so that your shipment is not delayed at our end. Give us a chance to provide you our trucking services and see the difference. 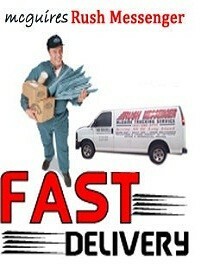 Contact us for honest and accurate shipping rates. We are just a call away at 631-580-4777.